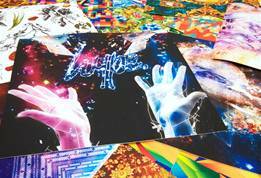 Eye-catching and stunning visual graphics grab the attention of potential customers and help define a space or exhibition. 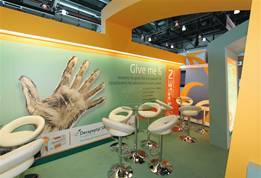 We've been working with businesses for over 15 years to help them maximise their visual appeal. Why not get in touch with us today and see how we can help you? Call us on FREEPHONE 0800 389 9898 or use our Quick Enquiry forms. 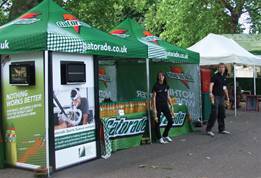 Gazebo Printing and Printed Canopies are a great way to attract attention at outdoor events, music festivals, race meetings or sales promotions. 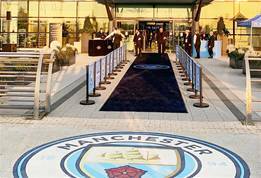 Set the theme for your conference, event or exhibition and extend a warm welcome to your delegates with our vibrant Exhibition Entrance Displays. 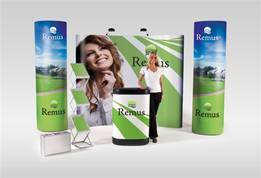 Horizontal Pop Up Displays are the perfect answer for all your indoor and outdoor branding requirements. 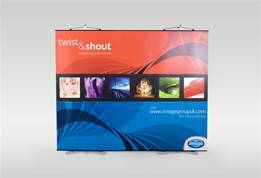 Outdoor Banner Stands including the Horizon Banner Stand, Blizzard Banner Stand and Hydro Storm Banner Stand from the Image Group. Usually available within 48 hours of your official order. It’s hard to ignore a big visual statement of intent. 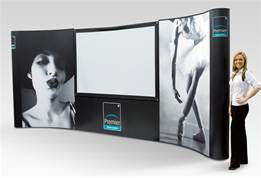 Pop up displays can alert customers of new products they may be interested in in-store, offers, upcoming events, discounts and much more besides. 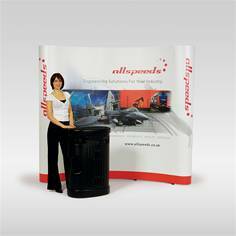 Our Portable Conference Kit is the perfect solution for annual conferences, signature presentations and main event meeting. 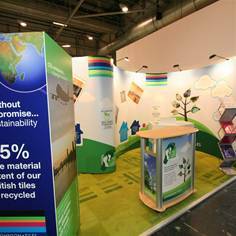 Rapid turnaround on full colour dump bins and point of sale units manufactured in a range of materials at our own factory in Manchester. 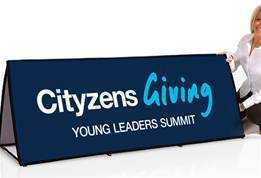 Circular Hanging Signs are a unique and eye-catching display that guarantees to get you noticed at your event or special occasion. 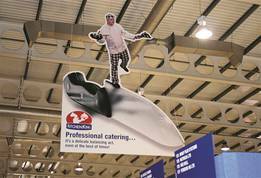 We offer a wide range of options on Suspended Signs and Suspended Display Graphics that are ideal for use at exhibition halls and conference centres. 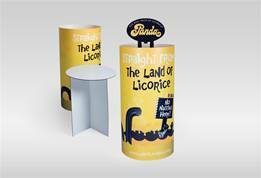 Get Your Custom Exhibition Graphics Quote Name Email Phone Message Briefly describe your enquiry, this will help us direct you to the right product specialist. 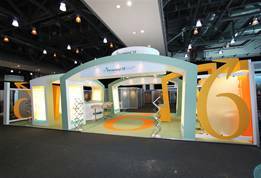 Exhibiting is one of the best ways possible for a brand to get its name out to the wider world, whether to potential investors or customers. But what’s the most effective way for a company to get its message across to people as quickly as possible? 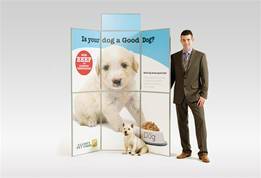 Exhibition graphics displayed in a visible area, exhibit, or other space, depending on what the company’s needs are, is a tried-and-tested advertising method. 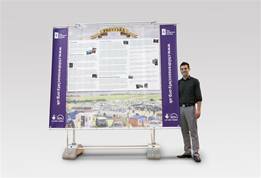 Businesses from all backgrounds can use exhibition graphics for advertisements, banners, pop-up displays, wall graphics, suspended signs and much more besides. 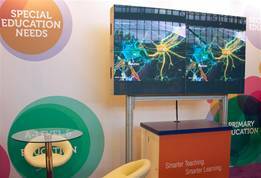 Companies are only really limited by their imagination and their requirements with exhibition graphics. 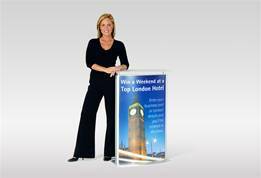 Their sheer versatility makes them a fantastic way to capture attention from passers-by at events or in more general public areas. 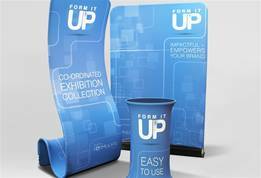 The creative exhibitor can also use graphics to showcase their message in a number of unique, original ways. 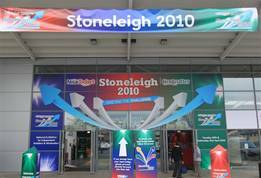 Exhibition graphics for instance can combine with carpets, gazebos, light boxes, product dump bins and many other items to create an eye-catching piece of advertising that sticks in people’s minds. The right visual investment combined with a clever marketing strategy can help brands get noticed on a local, national, and international scale. 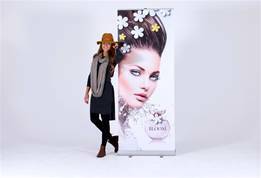 Contact our team today at The Image Group to find out how we can tailor a visual campaign to your business’s needs.